Expand the headings below to view the OVA's policies and their rationale. 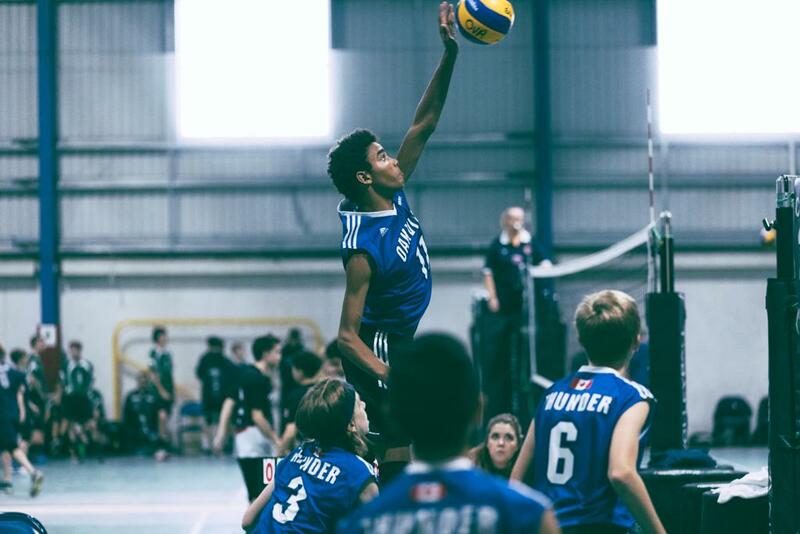 The OVA Tryout Window Policy is designed to alleviate stresses on clubs, athletes and families and to provide all clubs with an equal opportunity to select athletes. In 2014/15, The OVA underwent an extensive consultation process to evaluate the benefits of implementing a Tryout Window. This process took over a year and included feedback from the membership collected through online surveys, as well as an in-person Town Hall meeting. An Ad Hoc Committee was formed to review the Tryout Window proposal, review the membership’s feedback, determine if the proposal should be adopted, and to set the policy’s dates and parameters. To provide all clubs with an equal opportunity to select athletes. Provided enough time for clubs to communicate with their potential returning athletes. Provided clubs with time to consider each team’s needs with regards to returning athletes and to organize their tryouts accordingly. The OVA is committed to the long term health of our athletes. We work closely with the Ministry of Sport in Ontario to ensure that current and relevant health information is available to our members. For more information on concussion prevention, identification, management and treatment, we invite you to visit the Ministry's Concussion Program webpage. We also invite you to check out the Holland Bloorview Concussion Centre's Concussion Handbook. 1. Athletes remain on one side of the net during a hitting warm up and those not hitting retrieve the balls on the opposite side. 2. Athletes should not be crossing under the net during hitting warm ups into the direct path of the balls. 3. Athletes should run around the outside of the court to retrieve balls. 4. Designate one side for attacking and one for retrieving. 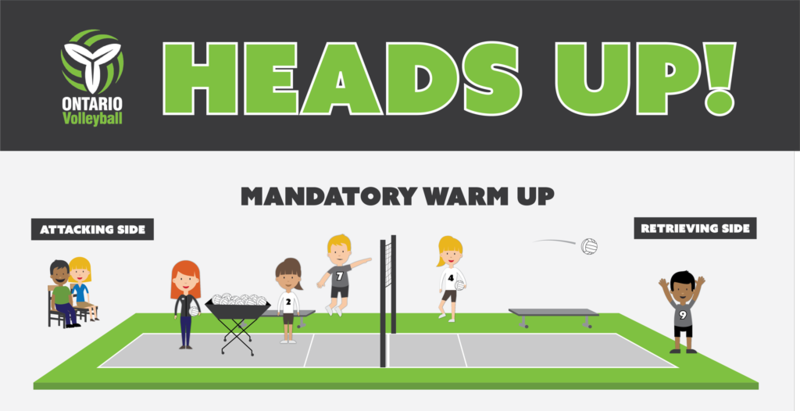 Ask spectators to avoid sitting on the retrieving side during warm up. This policy is designed to empower athletes with the freedom of choice when determining their playing situation. It encourages athletes and parents to gather information and make informed decisions concerning the club selection. It demands that all coaches behave ethically in their relationships with athletes, parents and other clubs. It stresses that coaches not initiate transfer discussions with any athlete within the OVA, but it encourages them to respond to inquiries initiated by parents and/or athletes. Screening of personnel and volunteers is an important part of providing a safe sporting environment and has become a common practice among sport organizations that provide programs and services to the community. The OVA is responsible at law, to do everything reasonable to provide a safe and secure environment for participants in its programs, activities and events. The OVA takes very seriously, and is committed to, fulfilling the duty of care it owes to its members. The OVA requires each person to submit a VSS once every three (3) years from the date of completion (as stamped by the police department), upon which time you must submit a new one. Each person is also required to submit a copy of the OVA Screening Disclosure Form on an annual basis.